The first step in the production of hard cider is apple selection and harvest. Only mature, ripe, sound apples are used in our cider. Windfall apples often contain soil and unwanted bacteria that could damage the quality of our final product, so generally, only tree-picked fruit are used. Apple variety selection is important. Apples for cider production fall into four categories: sweet or dessert varieties, sub-acid or tart, bitter or astringent, and aromatic. For Tandem Ciders, depending on the variety, sweet apples make up 30-60% of the blend. These apples are high in sugar, low in acid and will blend well with the juice of other more zesty and aromatic varieties. Examples of apples in this category are Baldwin, Red Delicious, Cortland, and Rome. Tart varieties will make up 10-40% of the juice: Jonathan, McIntosh, Granny Smith, Rhode Island Greenings, and Winesaps are good examples. These apples increase the acidity of the juice and provide the “snap” often recognizable in Tandem Ciders’ products. Bitter apples comprise 5-20% of the juice and varieties in this category include Golden Russets, Red Gravenstein, and Northern Spy. These apples provide the finished cider with body and character. Aromatic apples round out the cider by furnishing the cider with its bouquet and “nose”; these apples make up 10 - 20% of the juice. A mix of these apple types can be pressed together, or they can be pressed separately and combined before or after fermentation. At Tandem Ciders, we are always experimenting with new and different apple varieties and blends to make our ciders. We purchase apples from growers in Leelanau County and Old Mission Peninsula. Tandem Ciders has planted a small plot of traditional French and English cider varieties such as Bedan, Somerset Red Streak, Binet Rouge, Ashmead’s Kernal and Yarlington Mill. We hope to include more traditional cider apple varieties in our ciders as they become available. Before pressing apples for hard cider production, apples must be allowed to “sweat”. The sweating process involves storing harvested apples in a dry area for several days or weeks. During this time, the apples continue to ripen and respire, losing excess water content. This step is important in creating hard cider. As the water content declines in an apple, the sugar content rises. This transition of elevated sugars in turn increases the alcohol content in the finished cider. Other advantages to sweating include easier grinding and increased flavor development. A good cidermaker, like Rich, knows the apples are finished sweating when they yield slightly to the pressure of the finger yet are still sound. The apples are then washed. Washed apples are ground into pomace. The finer the pomace is ground, the greater the yield of juice. The pomace is pressed to extract the juice. There are various types of presses: the bladder press used in wine making; the tub press familiar to home cider makers; rack and cloth presses; or modern continuously operated belt presses. Tandem Ciders currently uses a variety of methods depending on the cider, but we love our good old 36” rack and cloth press. Either way, as the juice flows from the press, the cidermaker removes samples to measure the sweet cider or “must” for sugar content, acidity, pH, and taste. At this point, the juice is ready for fermentation. During fermentation, sweet cider changes to hard cider. Cider is fermented by yeasts, which are microscopic organisms that consume the sugar in the must and excrete ethyl alcohol and carbon dioxide as well as other minor by-products. All apples have naturally occurring yeast on their skins. Some cider-makers will allow these yeasts to ferment the cider, while others will kill off the wild yeasts with sulfites, and then introduce known wine- or cider-making yeast. At Tandem Ciders, we do not add sulfites at this point in the cider making process. However, we do add cultured yeast to the cider, and we continue to experiment with yeast strains as more varieties become available for cider production. The process of fermentation is temperature dependent and takes from two weeks to six months. When fermentation is complete, we then centrifuge our cider, this process removes the yeast and leaves behind any residual sugar. We then pump the cider to a conditioning tank. During the conditioning phase, the cider stabilizes, matures, and develops flavor. At this point the cider is filtered and either bottled, kegged or moved to serving tanks. The cider can be bottled still, like a wine or can be carbonated in the bottle using the “method champagnoise”. The cider can also be bulk carbonated by adding a bit of sugar in a closed stainless steel tank. This is known as a “Charmat” or “Closed Cuvee” method. The bottles are then labeled and are ready for sale. At Tandem Ciders, we strive to produce ciders that reflect the beauty of the apple. The apple, with its godly omens and its air of fecundity, is considered the most mysterious of all fruits. Ancient lore tells of quests for Paradise, a divine location that houses a sacred tree; many texts believe this tree to be an apple. Aryan, Germanic, and Celtic cultures consider the apple to be the universal fruit, and across the world, the apple is a symbol of fertility and eternal life. As apples come in all different shapes, size, and flavors, Tandem Ciders hopes to capture and bottle all the mystery, splendor, and diversity of the apple in our ciders. We feel that our ciders reflect the character of the land where the apples are grown. Native Americans aptly named Leelanau Peninsula, which is translated as “Land of Delight.” This region is steeped in agricultural tradition as fruit trees have been grown in the country for over 100 years. 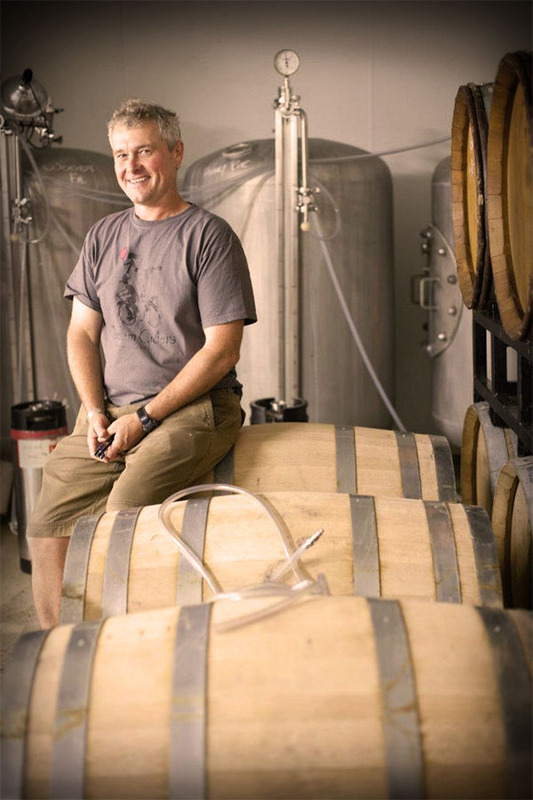 We are building on Leelanau’s offerings as we ferment, blend, and bottle all our ciders within the County. Want our cider but can't find it in stock near you? We've got your back. You can order right here online and it will be delivered right to your door. We utilize a company called vinoshipper to facilitate this. You can add our products to your cart here on our website. When you are ready to check it will transfer you to their website to finalize your order. We love local businesses and you should too! If you would like to find a place to buy our cider locally we're here to help. We've got a map and directory of where our products are sold available for you. If you are curious where you can find us on tap at your local establishments, look no further. We've got a map for that too! We hope you've been hearing good things about us. If you are interested in carrying our products please let us know. If you can't find us locally and would like a steady supply of our delicious cider in your area let us know! If you've got a lead on a place that might like to carry our products we are one step closer to fulfilling your wishes!